One Health, One Voice, One Community! Please Donate to the One Health Fund! Become a One Health Ambassador! ﻿Give and Tell Your Friends! Each trail event will contribute toward this vision thanks to community partners and trail participants. My name is Kevin Frost. I was born in Victoria, B.C. on June 16th 1967. In 1972 I moved to Ottawa with my family enrolling in Blackburn Public and Emily Carr. It was during these years that my deafness was discovered, grade six to be exact. I only had 25% of my hearing. I then went to Gloucester High School and successfully graduated in 1986. Please note that companion and service animals, in many instances will not be physically on the trails. 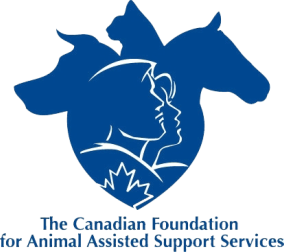 The concept is to connect people who share an interest in pets (companion animals) and partners (service animals|) in order to build awareness about and to support Animal-Assisted Support Services. People that attend walking events may bring their dogs and lap animals so long as the they are kept on leash at all times, harnessed, contained, and/or muzzled as appropriate. Please keep a safe distance between other people with their pets to ensure safety and fun during events. Always ask event participants permission to approach their animals before doing so. Only specific trails permit horses, therefore, please read event posters carefully to note the types of activities that will be available. Events can be held winter, spring, summer, and fall wherever and whenever possible.